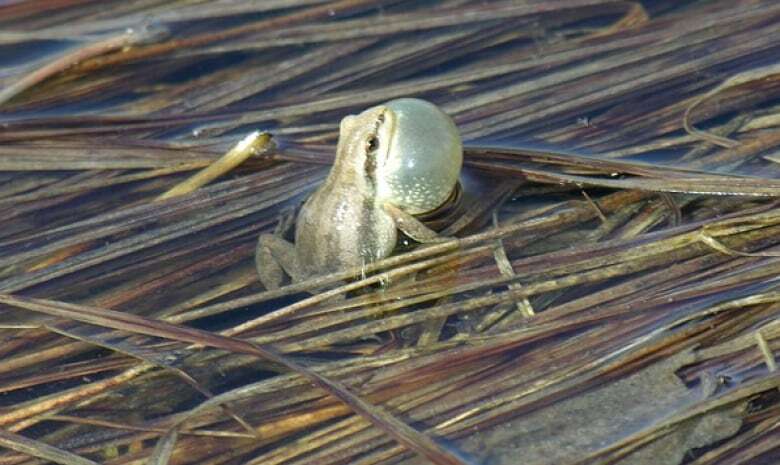 The cry of the spring peeper is a sign of spring for many Prince Edward Islanders and this is prime peeping time as the males try to attract a mate. The raucous noise from a pond full of spring peepers is a sound that many Prince Edward Islanders anticipate with longing as the snow begins to melt. "It's always exciting to hear them in the spring," said Dan McNeill, wildlife habitat coordinator with the Bedeque Bay Environmental Management Association (BBEMA). "It's a sign that winter's finally over." 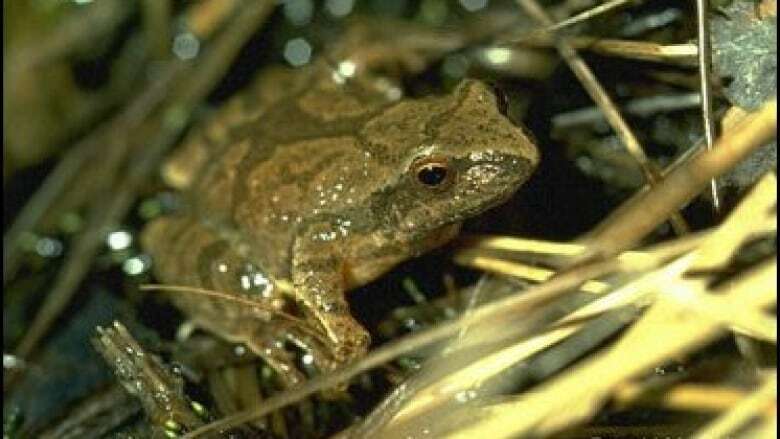 The spring peepers are one of six species of frogs and toads on Prince Edward Island. They signal the arrival of spring, in a very, very noisy way. "Very loud call, very high pitched and fairly rapid call, so it can sound like a very high-pitched bird calling or some people may confuse them with crickets," said McNeill. "If you're close enough to them, it can definitely hurt your ears." And the cry of the peeper carries across the P.E.I. countryside in the spring — up to a kilometer away, said McNeill. And why are these fellas peeping? It is the males making all the noise. "They're all in competition with each other trying to find a mate so they want to be the most attractive and be louder than each other," McNeill explained. Louder is apparently "hot" in the world of the spring peeper. The peepers are, however, harder to get a peep at. They are tiny, usually no more than three centimetres. They are a treefrog, which means they have large toe pads, and vary in colour from tan to gray. 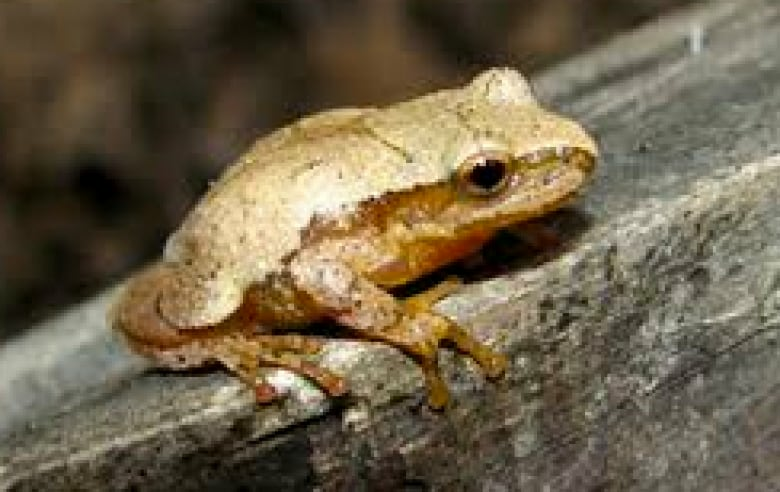 What's distinctive about the spring peeper is the X on its back. As McNeill explains, that's built into the frog's scientific name: Pseudacris crucifer. "Pseudacris is chorus frogs, for the loud calls, and crucifer is cross-bearer, after the dark X on the back," he explained. 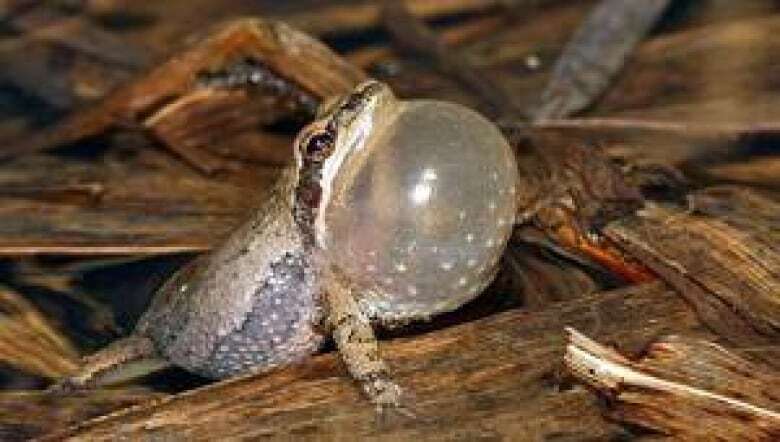 Like many frogs, the spring peeper has an unusual bubble under the chin, which is actually the frog's vocal sac. "Essentially they blow air into their throat sac and that's what resonates and makes that loud call." Frog Watch is a citizen science project under the umbrella of NatureWatch. 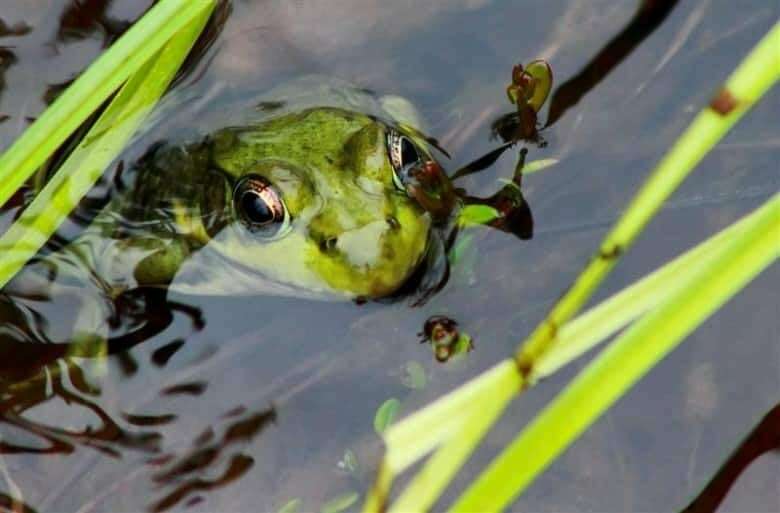 The group tracks changes in the population of frogs and toads by asking Canadians to listen for their calls during mating season, which can also be an indicator of climate change. 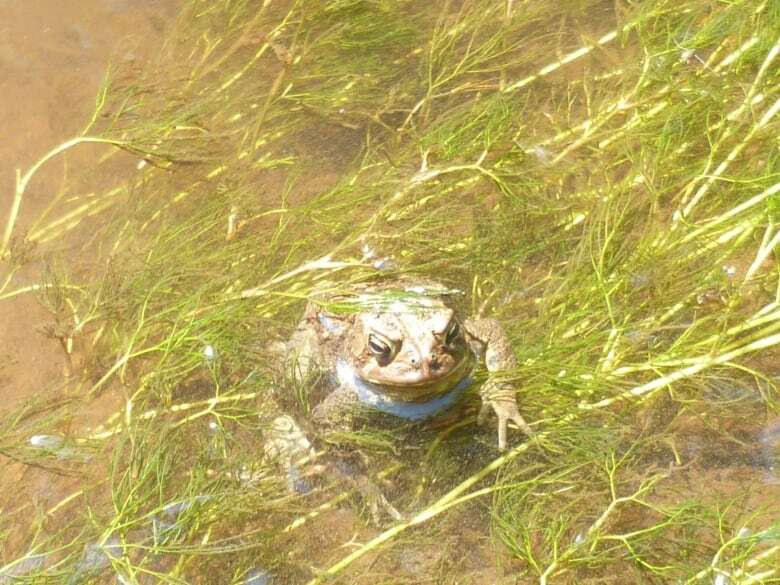 Frog Watch has Canadians report where and when they hear different species of frogs. In the past, some Islanders have contributed to the tracking map of frogs and toads, and more volunteers are wanted. "Frog Watch in P.E.I. is not as active as we would like but is available and ready for use by anyone interested in participating," said André Viau, associate professor at the University of Ottawa and one of the administrators of NatureWatch. "It's really easy to join NatureWatch Canada through our website and begin your citizen science observations on all kinds of frogs, including the spring peepers," said Viau. "You can even use your smart phone and with a simple click, your observation is uploaded to our national database." If frogs and toads aren't your thing, NatureWatch also offers Plant Watch, Ice Watch and Worm Watch. According to Dan McNeill, there is still time to get your fill of peeper calls. "Generally they're going to start calling when the temperature reaches the zero degree mark until their breeding season is finished, so another few weeks at least," he said. "They're difficult to find, they're a lot easier to hear than to see but if you have the right flashlight and you're looking around in the right areas you are able to find them." The spring peepers are at their loudest, he said, in the evening, especially around dusk, but they can call all day. McNeill said you can hear the spring peepers on P.E.I. 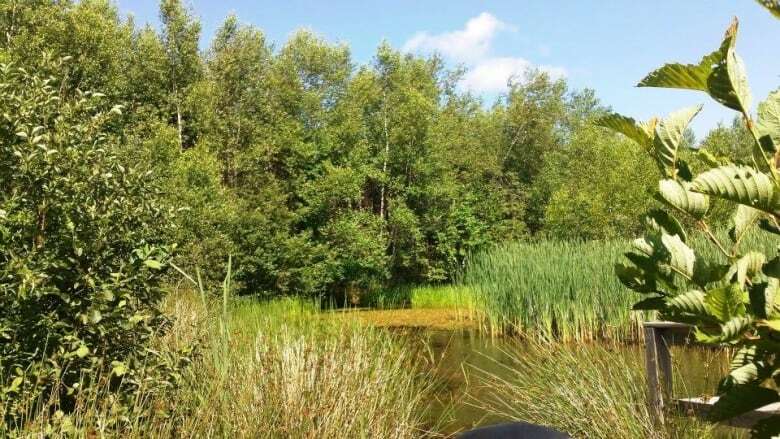 anywhere there is wetland, or a marshy or boggy type area. "They like wet areas and forested areas," he said. "You can hear them basically anywhere where you're not going to hear heavy traffic or human noises." A previous version of this story said there are 13 species of frogs and toads on P.E.I., as stated by Frog Watch. Frog Watch later corrected that number to six species of frogs and toads on P.E.I.